The WAO WHITE BOOK ON ALLERGY provides evidence about the increasing prevalence of allergic diseases worldwide and offers "high level" recommendation for action on allergy education for health care professions and enhanced patient service provision. 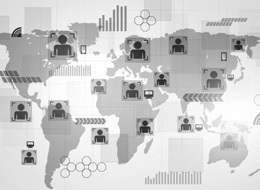 WAO is concerned about the rising global burden of allergic diseases and is committed to increased cooperation at a global level engaging governments and policy makers to channel resources and efforts to recognizing allergic diseases as a public health issue. Healthcare perspective: The burden of the diseases on quality of life of patients, their socio-economic consequences, and the need for cost-benefit analysis of appropriate care services. 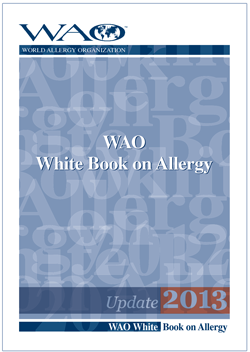 For questions about the WAO White Book on Allergy, send an email to: info@worldallergy.org with the subject "White Book. Allergic diseases and asthma are increasing worldwide, particularly in low and middle income countries. In addition, the complexity and severity of allergic disorders, including asthma, continue to increase especially in children and young adults, who are bearing the greatest burden of these trends. This upsurge in the prevalence of allergies is observed as societies become more affluent and urbanized. An increase in environmental risk factors like outdoor and indoor pollution combined with reduced biodiversity also contributes to this rise in prevalence. Yet allergy, even as it relates to asthma, is often trivialized and clinical services to help patients with such diseases are either non-existent or limited and lacking in cost-effective solutions. Allergic diseases include life-threatening anaphylaxis, food allergies, certain forms of asthma, rhinitis, conjunctivitis, angioedema, urticaria, and eczema, a variety of eosinophilic disorders, including eosinophilic esophagitis, and drug and insect allergies. These allergic morbidities commonly occur together in the same individual, requiring a greater awareness of allergic disorders and their underlying causes, particularly for primary care physicians, and emphasizing the importance of specialist diagnosis and treatment. The World Allergy Organization (WAO) believes that allergic diseases should be recognized as a global public health problem and greater efforts made towards their prevention and optimal treatment. To achieve this outcome requires that the subject of allergic diseases should be given much more attention in medical schools, residency training, and in general health care than is currently available. This improved education and training for the healthcare professional should have a corollary in educating patients who suffer from allergic diseases, all focused toward enhanced public awareness.